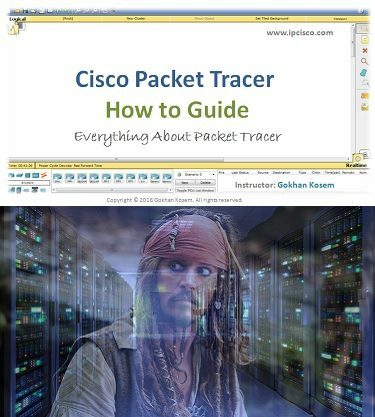 Welcome To Cisco Packet Tracer How to Guide! Cisco Packet Tracer How to Guide was prepared to teach you how to use Cisco Packet Tracer for your network certification studies. If you are new on Packet Tracer, this course is for you! This Couse only shows how to use Packet Tracer tools! For detailed configuration examples you can jump Cisco Packet Tracer, Packet Tracer CCNA lab Adventure Courses! In this Course, you will learn many things about Packet Tracer. You will gain experience on Packet Tracer menus, tools with different network devices, simple topologies and basically Cisco IOS. After the course you will become ready to build your own Packet Tracer topologies. Cisco Packet Tracer How to Guide is for beginners of Cisco Packet Tracer! Good Luck! Hey Buddy!, I found this information for you: "Cisco Packet Tracer How To Guide". Here is the website link: https://ipcisco.com/course/cisco-packet-tracer-how-to-guide/. Thank you.